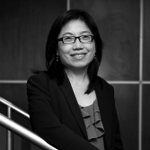 Keng-Yen Huang, PhD, MPH, has expertise across several disciplines, including developmental psychopathology, prevention science, quantitative modeling, and immigrant and global public health. Her research focuses on investigating mechanisms of child health disparities; testing cost-effective family and system approaches of preventive strategies to address child health disparities; and broadening evidence-based program implementation and dissemination in underserved child populations. She is a principal investigator and co-investigator on numerous early childhood prevention and developmental research projects that focus on vulnerable children both in the US and in the international contexts, including a National Institute of Mental Health R21 to study effective strategies to implement a school-based mental health prevention program in Uganda. Previously, Dr. Huang was the principal investigator on three research projects that investigated patterns of disparities, health service needs, and mechanisms for health disparities in East, South Asian American and Ugandan children, in comparison to African American and Latino children. She is also a Faculty Affiliate at the Global Institute of Public Health at New York University. Learn more about Keng-Yen here.